Initially, blogging involved a personal web log, in which a person would journal about their day. From "web log" came the term "blog." A blog post is a message on a blog. 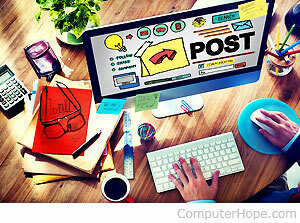 A blog post can be written for both personal and business purposes. A blog article aims to inform, convince or amuse the reader. The length of a post varies from a few words to about 5,000+ words. Often the text in a blog article is supported by photos, infographics or videos. 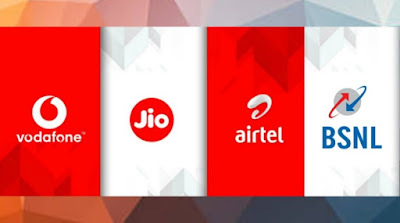 Ever since the entry of Jio about 2 years ago, we all have been enjoying the dirt cheap data and calling rates.Not only from Jio but other operators as well (BSNL, Vodafone, Idea and Airtel) as they try to keep up with the competition. As made popular by Jio, almost everyone has been using 84 day plan.The one by Jio is for Rs.399 (349 after Rs.50 discount).This is the most economical plan thus far , providing Unlimited calling,SMS and Data (1.5 GB per day).Other operators (BSNL, Vodafone, Idea and Airtel) too have similar plans, but they are almost Rs.50 costlier than Jio. Recently Every operator is coming out with yearly (365 days) recharge plans with everything unlimited.If you don't want the hassle of recharging every three month, you may consider getting one of them.Some of them are even better than Jio !!! #1 Plan.BSNL Diwali Mahadhamaka is the best one and offers are available to prepaid subscribers on a pan India basis. The plan under the offer is worth Rs 1,699.